"This might be just an interesting statistic, if they were Masons in name only, and some probably were. However, it appears that several were Masters of their Lodges, and some were Grand Masters of their Grand Lodges. Undoubtedly, then, the philosophy and spirit of Freemasonry had some effect on them, as well as the other Masons on the Supreme Court. This, in turn, may mean that to some extent the decisions of the Supreme Court, which have had so much of an impact on the lives of all Americans, reflect some of the teachings of Freemasonry." To gather the names, I pulled from Paul Bessel's website, 10,000 Famous Freemasons, and the Masonic Info website primarily with other reputable sources at my disposal. This article is split into three parts and this first part will cover only those Freemasons who served as Justices of the Supreme Court of the United States of America during the 18th century. The dissolution of our governments threw us into a political chaos. Time, Wisdom and Perseverance will reduce it into Form, and give it Strength, Order and Harmony. In this work you are (in the style of your professions) a Master Builder, and God grant that you may long continue a Free and Accepted one. There is also question as to whether John Rutledge was also a Mason or not. He received his education from his uncle Andrew Rutledge, South Carolina’s Speaker of the Common House of Assembly, and helped kick start his journey to a political career. After spending three years in England for law school, he returned to South Carolina. 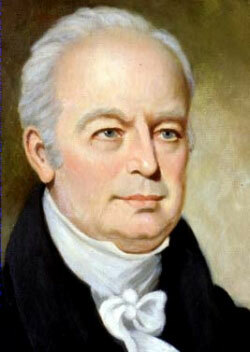 John Rutledge is known for being a Governor of South Carolina and delegate to the Constitutional Convention. He was also a member of the 3rd committee created to propose designs for the Great Seal of the US. He was appointed by George Washington to the Supreme Court. He took over as Chief Justice after John Jay resigned to serve as Governor. He was appointed during the recess of the Senate, but was removed after the Senate reconvened or his public rejection of a Treaty that Jay had supported. According to Paul Bessel, "Masonic Trivia and Facts and The MSA 1940s study say he was a Mason, without identifying his lodge, but 10,000 Famous Freemasons does not list him." The longest of Washington's appointees, William Cushing served as an Associate Justice for nearly 21-years. 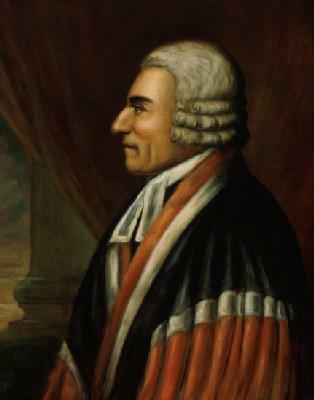 Cushing was born in 1732 to a long line of Massachusetts jurists. He attended Harvard for theology, but changed to law. He also served as Attorney General for Massachusetts, Massachusetts Superior Court judge and Chief Justice, a founder of the American Academy of Arts and Sciences, and President of the Massachusetts convention that ratified the US Constitution. He was appointed to the US Supreme Court on September 24, 1789. He is remembered for the shortness of his opinions, one of them being only two sentences. His health was never the best. After John Jay's resignation, he was offered the position of Chief Justice, but he declined the offer. He remained on the bench until his death in 1810 and was buried in a small cemetery in Scituate, MA, which is now a state park. He is said to have been a member of St. Andrew's Lodge in Boston. John Blair is remembered as a US Supreme Court Justice and member of the Constitutional Convention. He was a famous legal scholar who seems to have avoided dealing with state politics and preferred to remain behind the scenes. He is not remembered so much for his contributions at the Constitutional Convention, but rather for his time as a jurist on the Virginia Court of Appeals and later the US Supreme Court, where he influenced the interpretation of the Constitution in a number of important decisions such as the case of Chisholm v. Georgia in 1793, which held that a state could be sued in federal court even if it objected to the suit. The outcry at this opinion led to the adoption of the 11th Amendment in 1798. Blair resigned from the Supreme Court on October 25th, 1795, and died in Williamsburg in 1800. In Freemasonry, was unanimously elected as the first Grand Master of the Grand Lodge of Virginia in 1778. 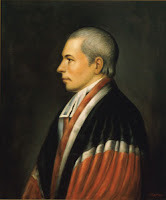 Serving as the 2nd Governor of New Jersey, US Senator, and one of the signers of the US Constitution, William Paterson also served as Associated Justice of the United States Supreme Court from 1793 to 1806. He entered the College of New Jersey (now Princeton University) at age 14. 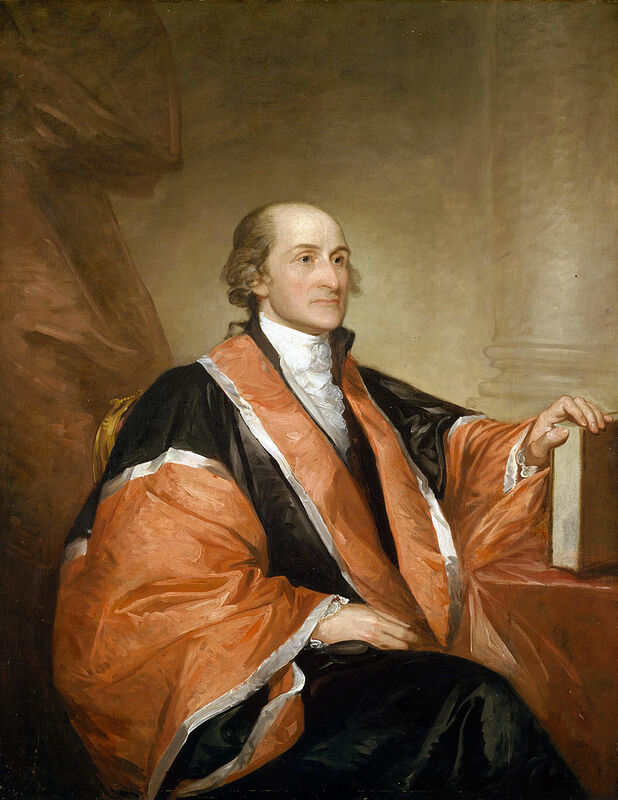 After his graduation in 1763, he studied law with the prominent lawyer Richard Stockton. 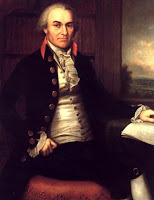 After Independence, Paterson was appointed as the first Attorney General of New Jersey, serving from 1776 to 1783. He was sent to the Constitutional Convention in Philadelphia where he proposed the New Jersey Plan for a unicameral legislative body with equal representation from each state which was struck down and later replaced with the Great Compromise that established a bicameral legislative body. As a member of the Senate Judiciary Committee, he played an important role in drafting the Judiciary Act of 1789 that established the federal court system. The first nine sections of this very important law are in his handwriting. George Washington nominated Paterson for the Supreme Court on February 27, 1793. The nomination was withdrawn by the President the following day since Washington had realized that since the law creating the Supreme Court had been passed during Paterson's current term as a Senator, the nomination was a violation of Article I, Section 6 of the Constitution. Washington re-nominated Paterson to the Court on March 4, 1793, after his term as Senator had expired. He was immediately confirmed by the Senate, and received his commission. He served until his death on September 9, 1806. He was initiated as an Entered Apprentice Mason and passed to the degree of Fellow Craft Mason on May 17, 1791, and was Raised to the Sublime Degree of Master Mason on November 7, 1791, in Trenton Lodge #5 (now Trenton Cyrus Lodge #5). 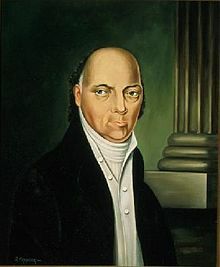 The third Chief Justice of the Supreme Court was Oliver Ellsworth. Born and raised in Connecticut, Ellsworth attended Yale in 1762, but later went to Princeton and graduated in 1766 with honors. It was at Princeton that he became a member of St. John's Lodge on December 27, 1765. In 1771, he was admitted to the bar and worked as a lawyer until 1778 when he was selected to be a delegate to the Continental Congress where he served until 1783. In 1784, he was appointed as a Judge in the Superior Court of Connecticut, but served in the position for only 3-years as he would be sent to represent Connecticut at the Constitutional Convention, but was unable to sign the Constitution. Before serving on the Supreme Court, he served as a Senator from Connecticut from 1789 to 1796. On March 4, 1796, Ellsworth was confirmed as Chief Justice of the Supreme court where he served for 4-years before resigning due to failing health. 2. Chalmers, G. M. (2012). Masonic Leaders in the United States and their Influence on this Century, 1900-1999. Northern California Lodge of Research. Happy Mother's Day to all the mothers, grandmothers, great-grandmothers, stepmothers, and foster mothers. I am blessed to still have my mother alive and well, and she has always been a support for me. 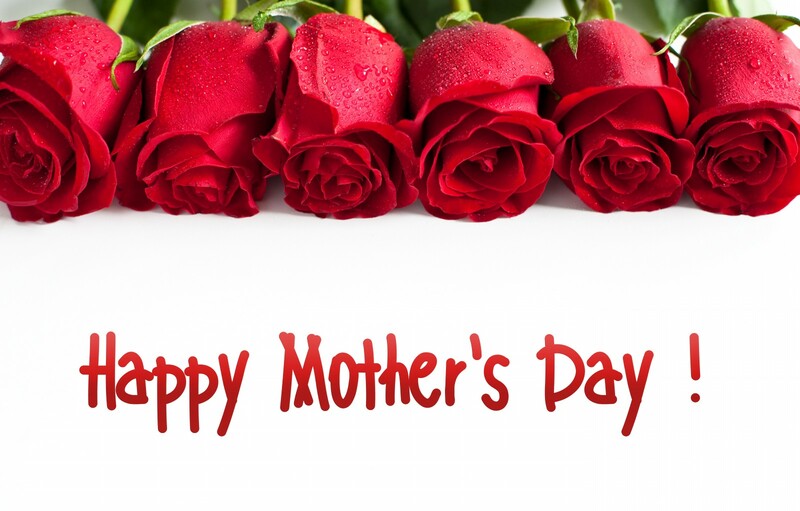 I am spending the day with her at my aunt's house where aunts, uncles, cousins, siblings, parents, and grandparents all congregated to celebrate this day honoring motherhood. Well, I've made it back home after a weekend in Wyoming. Today was the annual collation of the Wyoming College of the Societas Rosicruciana in Civitatibus Foederatis. After the long drive on Saturday, I and my fellow Fratres were able to check-in to our hotel before heading to the College's collation dinner. I was honored to be the keynote speaker where I presented my paper "Celestial Clothing." Sunday morning we started bright and early, and the College initiated three Idaho Masons into the First Order (I° to IV°) as well as a Wyoming Frater who received the III° and IV°; we're getting ever closer to being able to petition the High Council to charter a College in Idaho. I had the pleasure of presiding over the Grade of Zelator. This meeting is also when Wyoming College have its officer elections. I was appointed and installed by the Chief Adept to be the Acolyte, the outer guard of the College, for the next year. During the meeting it was discussed about advancing me to the Second Order. From discussing it further after the meeting, I will receive them at a later date at our next semi-annual meeting. However, it is late and I just spent the last 9-hours in a van and I am exhausted. Good night everyone. 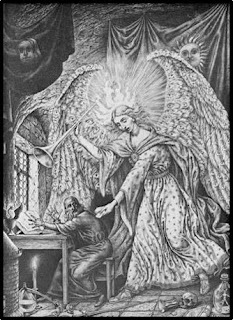 I was inspired to write this paper while I was reading the Chymical Wedding of Christian Rosencreutz, one of the three founding documents of Rosicrucianism. The Chymical Wedding of Christian Rosencreutz, attributed to Johann Valentin Andreæ, is a story of self-improvement through initiatic rituals that our legendary founder goes through that is composed seven chapters or days. 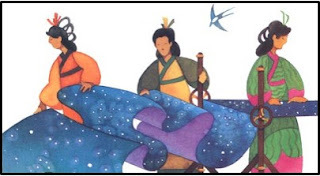 On the first day, Christian Rosencreutz is visited by a divine messenger who is described as a “wonderfully beautiful female figure, dressed all in blue, spangled liked the heavens with golden stars”. Of all the symbols and allegories found within the Chymical Wedding, the clothing of this divine messenger caught my attention and the purpose of this paper will be the comparison of this star-spangled clothing to other myths and legends. It was interesting to see when researching these various mythoi that in the Gnostic traditions “garment” not only meant clothing, but also the flesh of the body as I’ll explain further along in this paper. 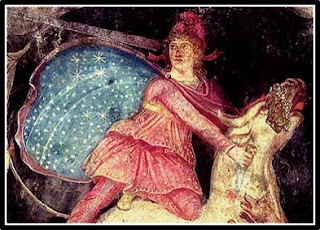 In the Roman Cult of Mithras, Mithras is said to have worn a cloak that was covered with the with constellations and the symbols of the seven planets. The stars on the cloak were said to represent every person that ever was and will ever be. This cult centered on the Proto-Indian, Persian god Mithra (Mithras being the Greco-Roman spelling). The son of Ormuzd, a god of light, Mithras is said to have been born out of a rock on the Winter Solstice. Myth states that he was born wearing a Phrygian cap and the celestial cloak while holding a dagger and a torch of light. One of the central legends of the Mithraic Mysteries is the "Tauroctony". The Tauroctony, from the Greek word "tauroktonos" meaning "bull killing," concerns the myth where the god Mithras sacrifices a sacred bull. Ahura Mazda, the supreme god of Zoroastrianism, is said to have sent a crow, an animal traditionally used a messenger of the gods, to Mithras and ordered him to subdue and kill the bull, which was Ahura’s first creation, in a cave which resulted in the creation of all the plants and animals of the world. Upon the death of the bull, legend states that Mithras transformed his cloak into the sky. 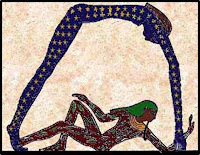 To the Ancient Egyptians, the body of the sky goddess Nut, who arched over the earth, was covered in the heavenly bodies; some legends say she is naked and others say she clothed in blue bedecked with the heavenly bodies. It is said that the sun, moon, and stars moved across her body, starting at her feet and ending at her mouth where she would consume them and pass through her along an “inner sky” to be birthed out of her at their appointed time; sun at dawn and stars and moon at dusk. Nut is an enigma because in most mythologies there is a sky god and an earth goddess, but, in this case, Nut is the goddess of the sky while her consort, Geb, is the god of the earth. From the union of Nut and Geb came Isis, Osiris, Set, and Nephthys. Nut is also considered a protector of the dead. To invoke her protection, she was sometimes carved or painted on the underside of coffin and sarcophagi lids. Within Catholicism, there are some interesting figures, particularly in new world areas where the Church wished to smooth the transition from the native pagan religions to Catholicism. The Virgin Mary is depicted in a variety of ways in Latin America. One such way is with Our Lady of Guadalupe. 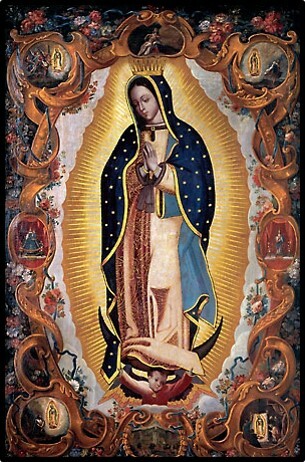 Our Lady of Guadalupe, sometimes called the Virgin of Guadalupe, is a reference used for the Virgin Mary in Mexico. The Virgin of Guadalupe is enshrined at the Minor Basilica of Our Lady of Guadalupe in Mexico City. In this depiction, she wears a mantle covered in stars. Her mantle was colored as blue-green which was considered the color of the gods by the natives. The stars were said to denote that she came from Heaven. While this is contested, some theorize that the 46 stars that cover her mantle are said to correspond to the position of the stars of the winter solstice of 1531 when the legend of this particular personification of the Virgin Mary is said to have originated. 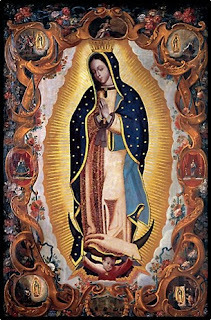 According to legend, the story of the Lady of Guadalupe dates to December 9, 1531, when Juan Diego, a Christianized native was on his way to Catholic mass when he received a vision from a lady who declared herself the Virgin Mary and The Lady of Uruk, sometimes called the “Sumerian Mona Lisa” is a statue that dates back to circa 3100 BC and is one of the earliest representations of the human face. Many believe it is a statue of the Inanna, goddess of love, fertility, and warfare in Sumerian mythology; an interesting dichotomy for a goddess to have. [expand on Inanna]whose garments were like the sun in their brilliance. She asked him to erect a temple dedicated to her on Tepeyac Hill. Some see this as a victory of Christ over the former pagan temples built on that hill. She assured Juan Diego that she would give love, aid, and protection to the people. The Lady of Uruk, sometimes called the “Sumerian Mona Lisa” is a statue that dates back to circa 3100 BC and is one of the earliest representations of the human face. The statue depicted a woman that was wearing a garment that was "covered in golden stars”. Sadly today, the only thing left remaining is the facial portion and is now known as the Mask of Warka. 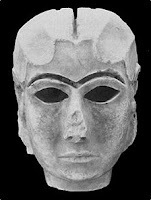 Many believe it was a statue of Inanna, goddess of love, fertility, and warfare in Sumerian mythology; an interesting dichotomy for a goddess to have. 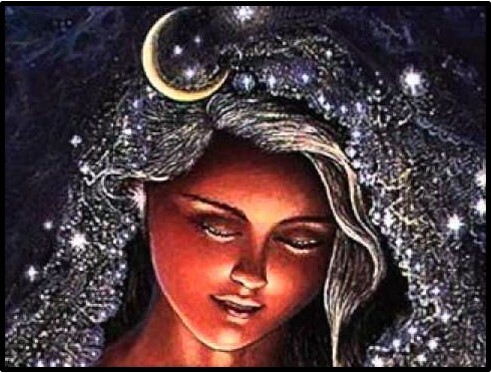 Inanna is said to be another name for the Akkadian goddess Ishtar, Phoenician goddess Astarte, Aphrodite in Greece, and Venus in the Roman pantheon. 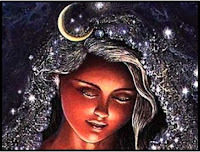 Inanna is said to be “clothed with the heavens and crowned with the stars” with the “rainbow as her necklace and the zodiac as her girdle.” Among her several titles she was known as the Queen of Heaven and Earth, Light of the World, Morning and Evening Star, and Holy Shepherdess. She was the protector deity of the city of Uruk was the first city built by the legendary Gilgamesh, who was the champion of the goddess Inanna. In Hinduism, Ratri is the goddess of night. She is the sister of Ushas (goddess of the dawn), brother of Parjanya (god of rain), and daughter of Dyaus (god of sky) and Prithvi (goddess earth). She is also said to be “the guardian of eternal law and order in the cosmos and of the waves of time.” While her physical appearance is rarely discussed, the few accounts state that she is clothed in a black cloak and covered in stars. The stars on her cloak are there to provide light in the darkness as a means of protecting people from the dangers of the night. Another legend in Hinduism centers on Harishchandra who was a legendary Indian king. In one story, Harishchandra gave away his kingdom then sold himself and his family into slavery to fulfill a promise he had made to the sage Vishvamitra. While in servitude he demonstrated sincere remorse for his past sins and his obligations to the gods where the gods restored his fortunes and robed him in celestial garments. I found a curious story in Chinese mythology concerning Chin Nu. Chin Nu was a weaver goddess and daughter to the Jade Emperor for whom she is said to have woven seamless robes. One story she is found in, concerns her descending to the earth to bathe. While bathing, her clothing is stolen by a cowherd and without her divine clothing she is incapable of returning to heaven. To get her clothing back she consents to marrying the cowheard, but eventually they become separated. The husband, with the help of the ox, searched the heavens for his wife. When he encountered her father, the Jade Emperor, but he refused to allow them to be together all the time as she would forget to perform her duties. The Jade Emperor instead gave her husband a place as guardian of Ch’ien Niu, a star to the west. Chin Nu was given a star that was situated to the east of the Heavenly River. Because of their positions in the heavens, they are only reunited on the 7th day of the 7th month each year. Shapur II, the 10th and longest reigning monarch of the Sasanian Empire, is said to have clothed himself in a “mantle and tiara were adorned with stars and with solar and lunar signs”. While not necessarily a divine being, monarchs are often considered divine or rule by divine right and were referred to as "illustrious" or "shining" (think of King Louis XIV who was known as the Sun King). During the wars with the Roman Empire, Shapur II sent a letter to the Emperor Constantius stating that he was the “Companion of the stars, Brother of the sun and moon”. 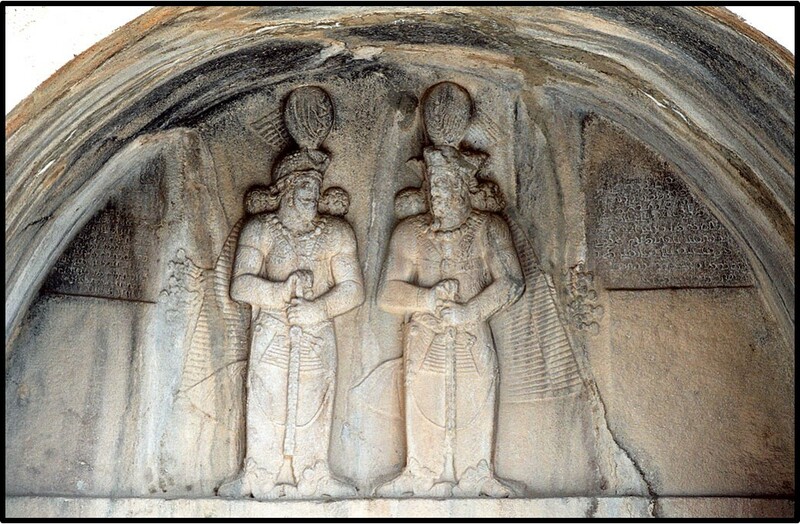 Along with military and strategic renown, it was under the reign of Shapur II that the Avesta collection was completed. The Avesta is the primary religious text of Zoroastrianism. To conclude, among the various mythologies that have existed there are a number of mythologies that include divine or celestial clothing. A common theme that is seen among these different myths are that those who are garbed in celestial clothing are creators and guardians whether of the cosmos and mankind. Even the everlasting JHVH is described in heavenly clothing in Psalms 104:2 “Who coverest thyself with light as with a garment: who stretchest out the heavens like a curtain”. Again, thank you all for giving me this opportunity to speak tonight. 1. Arendzen, J. (1911, October 1). Mithraism. Retrieved March 28, 2017, from http://www.newadvent.org/cathen/10402a.htm. 2. Baring, A., & Cashford, J. (2000). The Myth of the Goddess: Evolution of an Image. London: Arkana. 3. Beck, R. (2000). Ritual, Myth, Doctrine, and Initiation in the Mysteries of Mithras: New Evidence from a Cult Vessel. The Journal of Roman Studies, 145-180. 4. Chinese Goddesses. (n.d.). Retrieved March 28, 2017, from http://www.lowchensaustralia.com/names/chinese-goddesses.htm. 5. Colavito, J. (2014). Jason and the Argonauts through the ages. Jefferson: McFarland & Company, Inc.
6. Coulter, C. R., & Turner, P. (2000). Encyclopedia of ancient deities. Jefferson: McFarland. 7. Dimmitt, C. (1978). Classic Hindu Mythology: A Reader in Sanskrit Puranas. Philadelphia: Temple University Press. 8. Dunnington, J. O. (2004). Celebrating Guadalupe. Tucson: Rio Nuevo. 9. Egyptian Gods: Nut. (n.d.). Retrieved March 28, 2017, from http://egyptian-gods.org/egyptian-gods-nut/. 10. Fisher, W. B., Gershevitch, I., & Yarshater, E. (1986). The Cambridge History of Iran. Cambridge: Cambridge University Press. 11. Godwin, J., McIntosh, C., Pahnke, D., & Rosencreutz, C. (2016). Rosicrucian Trilogy. Newburyport: Weiser Books. 12. Hani, J. (2011). Sacred Royalty: From the Pharaoh to the Most Christian King. London: Matheson Trust. 14. Hunt, L. (n.d.). 'Mona Lisa' back to Iraq's National Museam. Retrieved March 28, 2017, from http://www.middle-east-online.com/english/?id=7116. 15. Jordan, M. (2005). Dictionary of Gods and Goddesses (2nd ed.). New York: Checkmark Books. 16. Kinsley, D. R. (1988). Hindu Goddesses: Visions of the Divine Feminine in the Hindu Religious Tradition. London: UC Press, Ltd.
18. Merkelbach, R. (2016, August 18). Mithraism. Retrieved March 28, 2017, from https://www.britannica.com/topic/Mithraism. 19. Nabarz, P. (2005). The Mysteries of Mithras: The Pagan Belief That Shaped the Christian World. Rochester: Inner Traditions. 20. Pinch, G. (2004). Egyptian Mythology: A Guide to Gods, Goddesses, and Traditions of Ancient Egypt. NYC: Oxford University Press. 21. RATRI: Goddess of Night. (2014, January 28). Retrieved March 28, 2017, from http://www.godchecker.com/pantheon/indian-mythology.php?deity=RATRI. 23. Symbolism of the Image. (n.d.). Retrieved March 28, 2017, from http://www.olgaustin.org/symbolism.shtml. 24. The 46 Stars of Guadalupe. (n.d.). Retrieved March 28, 2017, from http://www.holymary.info/the46starsofguadalupe.html. 25. Wallis Budge, E. A. (1969). The Gods of the Egyptians. New York: Dover Publications. Eternal and Universal Fountain of Love, Wisdom and Happiness; Nature is the book in which Thy character is written, and no one can read it unless he has been in Thy school. Therefore our (or my) eyes are directed upon thee as the eyes of the servants are directed upon the hands of the masters and mistresses, from whom they receive their gifts. Oh Thou Lord of Kings, who should not praise thee unceasingly, and forever with his whole heart? For everything in the universe comes from Thee, out of Thee, belongs to Thee and must again return to Thee. Everything that exists will ultimately re-enter Thy Love or Thy Anger, Thy Light or Thy Fire, and everything, whether good or evil, must serve to thy glorification. Thou alone art the Lord, for Thy Will is the fountain of all powers that exist in the universe; none can escape Thee. Thou art the King of the World; Thy residence is in Heaven and in the sanctuary of the heart of the virtuous. Universal God, One Life, One Light, One Power, Thou All in All, beyond expression and beyond conception. On Nature! Thou something from nothing, thou symbol of Wisdom! In myself I am nothing, in Thee I am I. I live in Thine I made of nothing; live thou in me and bring me out of the region of self into the Eternal Light! Amen.